Two South American circus lions that were released into a sanctuary for big cats in the South African bush last year were found with their heads and paws cut off in what is believed to be a witchcraft related killing. 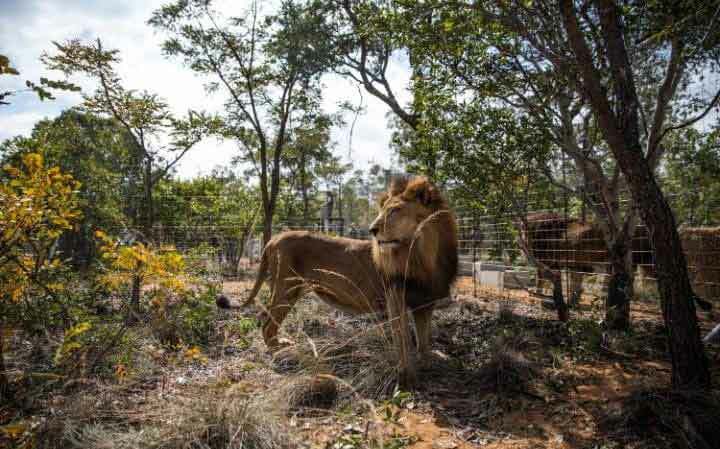 The male lions, Jose and Liso, were part of group of 33 big cats that were brought to the 5,000 hectare Emoya Big Cat Sanctuary in Vaalwater in northern South Africa in May last year. “This is not just another poaching incident,” said Minunette Heuser, who runs the Emoya Big Cat Sanctuary with her daughter Savvanah Heuser. “We are going to unite, stronger than ever, and bring to justice the perpetrators who murdered our two beloved boys.” Detectives and forensic experts are investigating the crime, while armed guards are patrolling the sanctuary. Emoya is located in a region of diverse habitats including mountains, grasslands, forests, and river gorges. It was opened by Ms Heuser and her daughter in 2012. 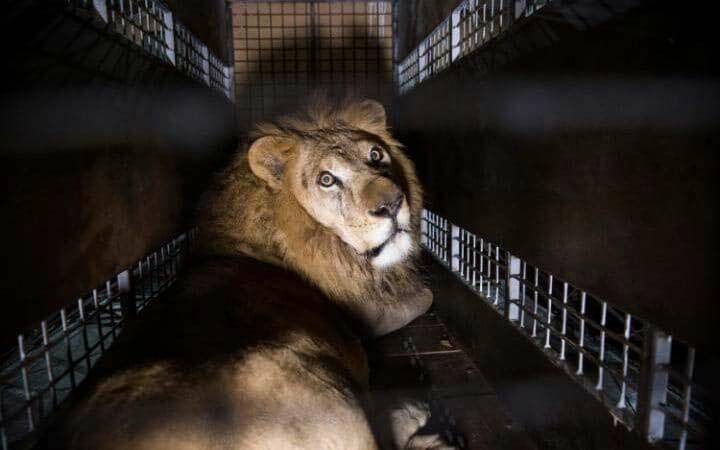 The lions were among hundreds of animals including bears, monkeys and birds, that were rescued from circuses in Peru and Colombia. Nine of the lions were surrendered by a circus in Colombia. The other 24 big cats were rescued in raids on circuses in Peru by the Animal Defenders International (ADI) and officials enforcing a crackdown on wildlife trafficking. The cats were kept in small, filthy cages on the backs of trucks. Many of the lions had their teeth smashed and claws pulled out by their owners in South America. The rescue operation was the largest ever air evacuation of big cats, according to ADI, making headlines around the world. Due to their poor physical state, the lions are unable to hunt and have to be fed game meat that is supplied to Emoya once a year. “These lions have endured hell on earth and now they are heading home to paradise,” ADI president Jan Creamer said as the lions were released last year. Poachers frequently kill lions at South African game lodges to make traditional potions and charms that are supplied to the country’s witchcraft market. Many of the lions are poisoned before their bodies are mutilated. Last year poachers bypassed an advanced security system at a lodge near the town of Tzaneen in the Limpopo province, killing two lions by feeding them poisoned meat. Traditional healing materials, or muti, is widely used in rural parts of South Africa by sangomas, or traditional healers. Animal body parts, such as lion paws and vulture brains, are often used in muti concoctions. Human parts are also used by some sangomas but these are more difficult to come by as traditional healers believe that their ancestors will turn against them if human parts are used in potions. Many ingredients for traditional potions can be bought at markets in major cities such as Johannesburg and Durban. In 2015 two men and three minors were arrested for decapitating a woman, Desiree Murugan, in the coastal city of Durban. Ms Murugan’s head was sold to a sangoma for muti. Four of the five were found guilty of Ms Murugan’s murder in January. In a separate incident, two graves at the Qabrastan Muslim cemetery were disturbed and the remains from coffins stolen. Muslim leaders said the theft of the bodies, one body buried in the 1960s and the other from 2013, was likely to be witchcraft related.